Hello I’m Julie and I have over 15 years experience within in the beauty industry. It was my 55th birthday in 2014 and so I’m highly motivated to keep up to date in anti ageing treatments and other skin issues we all encounter. Attend training courses to keep ahead of new and changing treatments and product technology I am now a skin expert for Dermalogica. I love to challenge myself and have trekked across Peru, abseiled down Fort Dunlop and I have just been awarded 5 belts in kickboxing.. . Oh yes… not to forget I also volunteer to help run a local community magazine for Balsall Common and I teach Box fit and self defence. I really do try to offer the highest quality and most innovative treatments available to give you the maximum results at the best value. My treatment room is personally designed and all treatments are delivered in a relaxing clean and comfortable environment giving you a comfortable and a blissful experience. 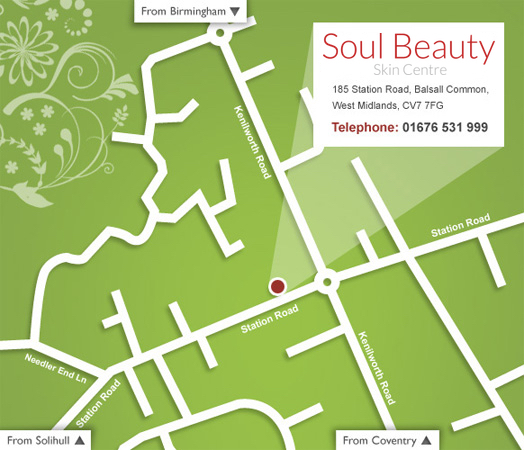 The products at Soul are leading brands ensuring you get maximum results from your treatments. I have many clients who have stayed with me since I opened a beauty salon over 15 years ago and I’m proud to say that most of my new clients come from recommendation, and many of my older clients have become friends.